An income property can be an excellent investment. This Rental Property Calculator is designed to examine the potential return you might receive from an income property. 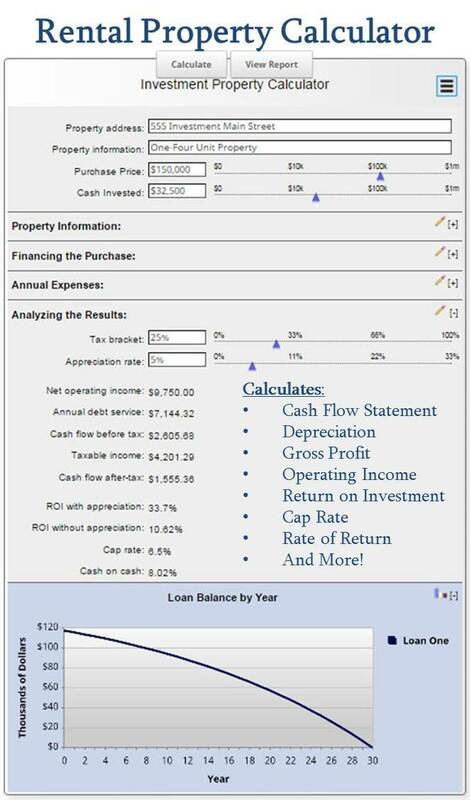 For the income property loans - under 'financing the purchase', today's mortgage rates will give you a good starting place for the 1st mortgage rate to use in this calculator - click on 'View Report' to see all the details, including a full amortization schedule with principal and interest paid, investment appreciation and investment return. You can even save and/or email the results by clicking on the three-line icon in the upper right hand corner of this real estate calculator.